The Nonno Nanni organic cheese line is the product of a long tradition of a love of nature, handed down through generations via our daily work. We have always cared passionately about protecting our local area, and the careful selection of ingredients for our cheeses. That’s why all of our products have always been so good, just like those of bygone days. 100% Italian milk, cows reared on organic feed and product traceability are proof of our daily commitment to safeguarding biodiversity. 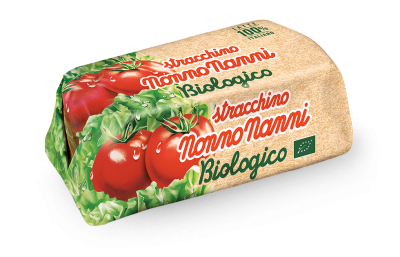 Nonno Nanni Organic Stracchino is a soft, fresh cheese made with the milk from cows reared solely on organic origin feed. 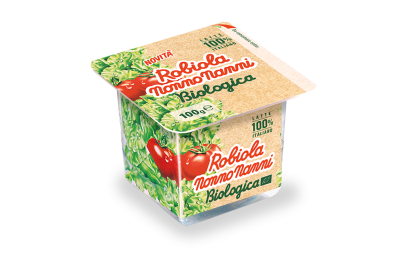 Nonno Nanni Organic Robiola is a fresh, light and tempting cheese, made solely with 100% organic milk and cream. Nonno Nanni Organic Fresco Spalmabile is a soft, spreadable fresh cheese, with all of the Nonno Nanni flavour and certified organic goodness. For Nonno Nanni sourcing quality ingredients is essential: cows are reared on only organic feed, while calves are preferably reared on their mothers’ milk. 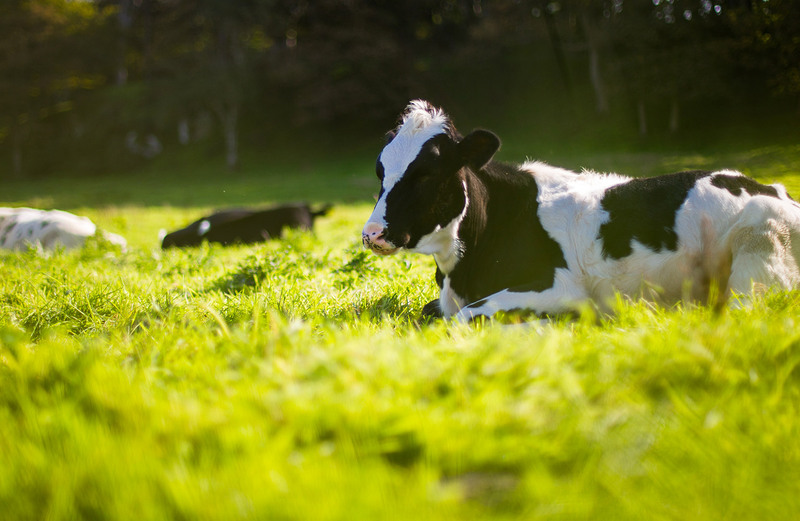 The milk we use for our organic cheeses comes solely from Italian dairy farms where the animal’s natural nutritional needs are wholly respected. Our cows are fed on crops grown organically using techniques designed to protect the land, like yearly crop rotation and use of natural organically produced fertiliser. Ingredients are processed in our traditional cheese factory in the green hills of Montello. Here, every single phase of the production process is methodically tracked and traced, from the milk arriving in the factory to selection of certified lactic ferments, right through to packaging the cheeses. That way, the people who choose our organic cheeses always know how they’ve been made. Every phase of the production process is checked by both our in-house laboratory and independent certification body CCPB which certifies compliance of organic products with Community regulations. Our product certification is issued by Consorzio per il Controllo dei Prodotti Biologici (CCPB), one of the most renowned international associations in the field of organic products. It is tasked with providing consumers with a guarantee that established organic cheese manufacturing procedures are correctly implemented. Because Nonno Nanni cares deeply about making products that are always fresh, delicious and 100% guaranteed. Every pack bears the logo which immediately identifies certified organic products manufactured in the European Union, alongside the CCPB logo and control body code.ltre al logo CCPB e al numero del certificatore. Stracchino, Robiola and Fresco Spalmabile: the unique, unmistakeable flavour of Nonno Nanni cheeses is reaching the end of its journey on your table. The goodness and creamy texture are still the same, but are now certified organic. Try them on their own with some lovely fresh bread, or unleash your fantasy and add them to your most tempting recipes! Nonno Nanni Organic Cheeses are made in compliance with organic protocol using only organic Italian milk and cream, certified by CCPB. We think it is important for you to know the history of our products: where our ingredients come from, the care we take in choosing our suppliers, and the passion that goes into the whole production process. Here are the answers to all your questions about our organic cheeses. If you have any further questions, please do not hesitate to contact our customer service team. The milk and cream are 100% Italian and come from selected suppliers, who share the same values as Nonno Nanni, and are committed to respecting their local environment. Is the milk used for organic products pasteurised? Yes, the milk is pasteurised just as it is for other Nonno Nanni cheeses. No. Organic certification forbids use of preservatives in preparation and processing of organic foods. What information can you give about the origin and traceability of ingredients? Organic farm-produced ingredients come from suppliers who are checked and certified by a Certifying Body. Nonno Nanni also guarantees traceability from ingredients to finished product. Which certifying body carries out certification and inspections? 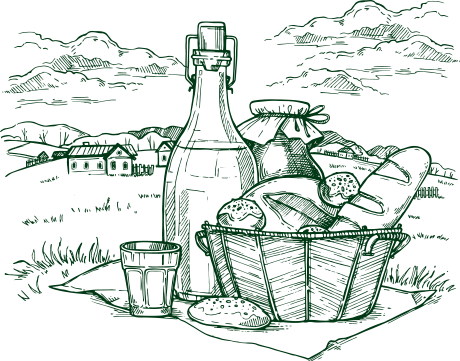 CCPB, a certifying body and inspector accredited by the Italian Ministry for Agriculture, Food, Forestry and Tourism Policies, was selected for organic certification. Where can i find the organic certification information? The paper wrapping bears the CCPB Certifying Body name and logo, and also the operator number assigned for certification. 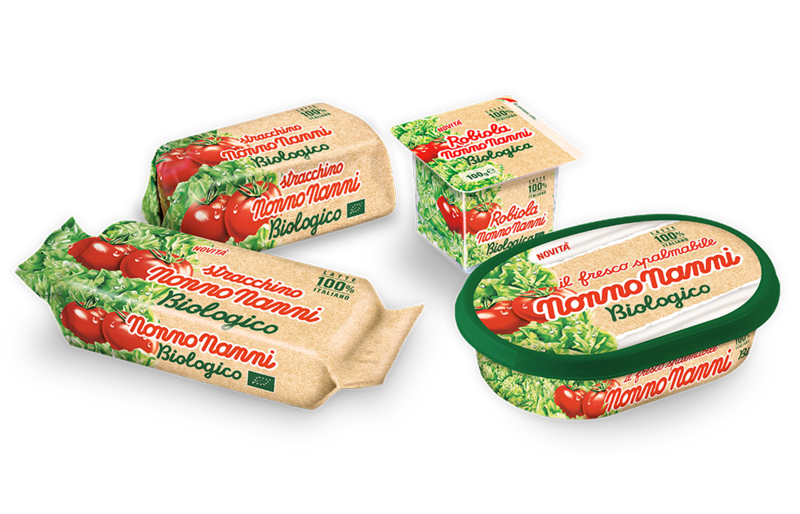 Is the quality of the nonno nanni organic line superior to the classic nonno nanni cheese line? The Nonno Nanni quality has not changed. It is the same as the Nonno Nanni classic line. The organic line cheeses are also made in compliance with Community regulations on organic products, which among other instructions requires the use of only organic feed for cows and protection of agricultural land. What is the principal feature of nonno nanni organic products? Their inimitable, unique flavour! The traditional hallmark goodness of all Nonno Nanni products and now, after years of hard work and development, we have managed to reproduce the unmistakeable Nonno Nanni flavour in the new line of organic products too. Are you able to provide different storage and processing of organic ingredients to traditional ingredients? Yes, manufacturing and packaging of organic products are physically separate and carried out at a different time to processing of the traditional product line. Deep cleaning procedures take place on the production line between manufacturing of traditional and organic products. 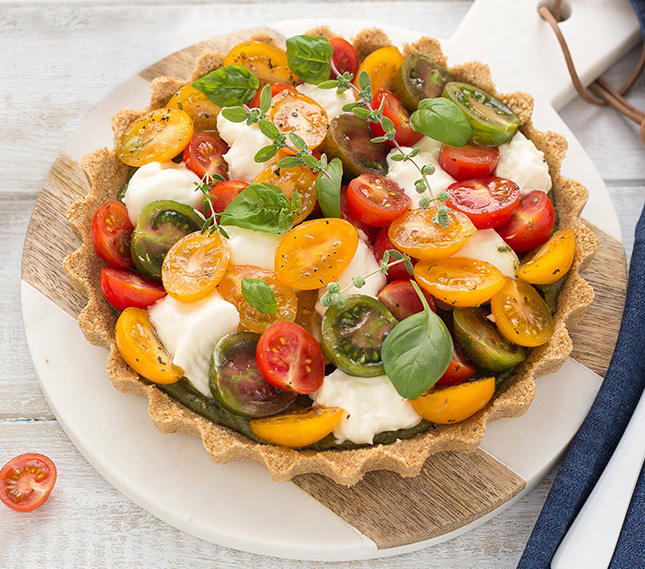 What Nonno Nanni Organic Cheeses are also suitable for vegetarians? 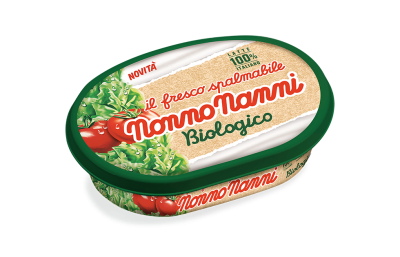 Only Nonno Nanni Organic Fresco Spalmabile, which contains no rennet (like classic Fresco Spalmabile too), is suitable for vegetarians. Our Robiola and Stracchino do however contain rennet. What environmental protection measures are in place in manufacturing of nonno nanni organic cheeses? Besides environmental protection best practices implemented by Nonno Nanni’s organic milk suppliers, Nonno Nanni only uses clean energy in cheese manufacture, powered by renewable sources like solar, water and wind power. Most of our packaging bears a logo which highlights this feature. made with 100% Italian milk, to your table. in the meantime you can always try Nonno Nanni’s favourite recipes.